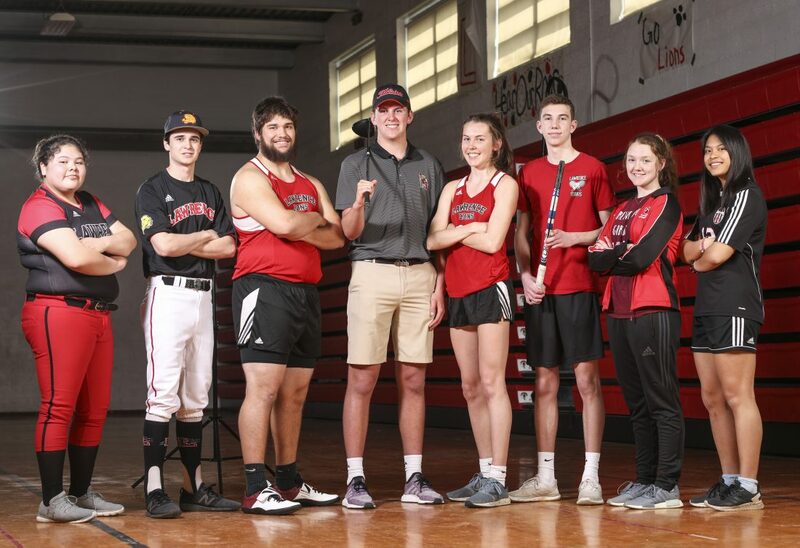 Lawrence High School spring sports athletes are pictured from left: Angelina Hargo, softball, Hank Dobson, baseball, Bryce Tibke, track and field, Ross Brungardt, golf, Evann Seratte, track and field, Cooper Wright, tennis, Jillian Wilson, swim, and Anna Chieu, soccer. Spring sports season began over break last week, and Lawrence High is ready to hit the ground running. 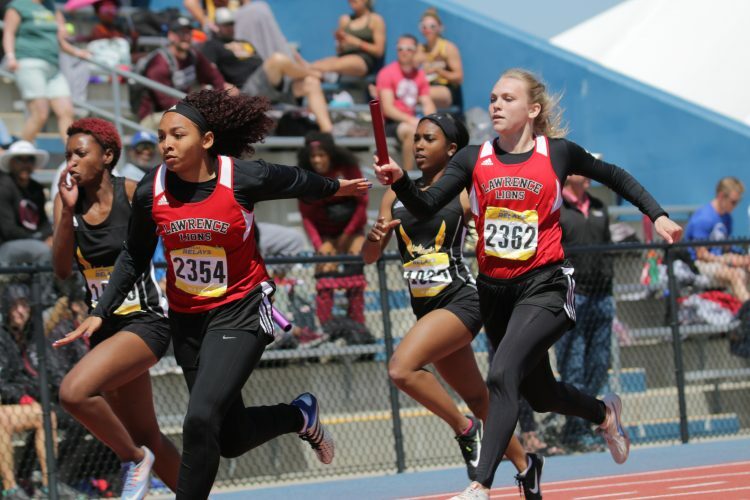 During the spring campaign last year, LHS came away with a state title on the final day of the spring slate when the girls track and field team secured first place at the 6A state meet at Wichita State University. The baseball team already started the 2019 spring season with a 9-0 win over Wichita Northwest, and the Lions will look to keep things rolling as plenty of other sports get underway this week. The Lions bring back plenty of bats from last year’s team that went 8-13 and fell in the regional semifinals. 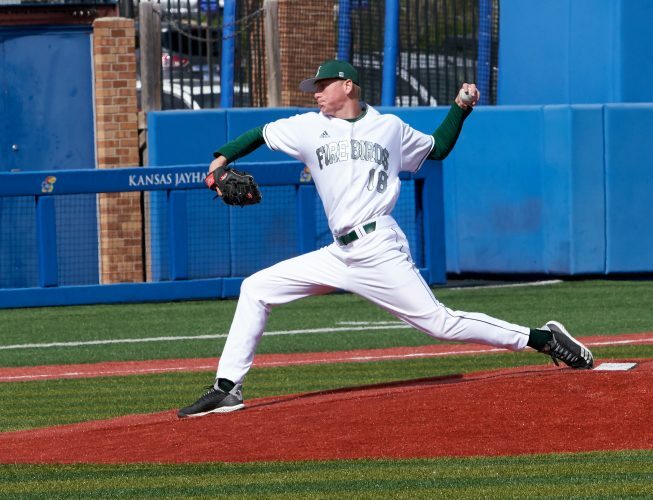 The team graduated 10 seniors, and will have to replace 90 percent of its pitching production from 2018. Seniors Hank Dobson (LHP/1B), Payton Cummins (OF), Caleb Mondi (OF), Garrett Romero (2B) and Preston Harris (3B/RHP) will lead the way. Junior catcher Ryan Lauts and sophomore shortstop Carlos Vasquez also figure to have prominent roles. Lawrence (1-0) will take on Southmoore at 4 p.m. Friday at Deer Creek High School. Steve Seratte will begin his first year as the LHS softball coach, though he’s already coached nine years at the high school level. Lawrence lost five starters from last year’s team that went 11-10 before falling in the regional semifinals. The Lions also bring back five starters, including three seniors in Angelina Harjo, Abby Monroe and Sammy Williams. Juniors Karly Johnson and Kate Williams are also back for another year. Seniors Kaylee McNish, Jesse Cox and Victoria Droge will make the jump to the varsity level. “We will strive to compete with all of the teams in the Sunflower League with our heart and hustle, even though we may be lacking in experience at the varsity level,” Seratte said. Lawrence will play host to Shawnee Mission Northwest at 5:30 p.m. Tuesday. 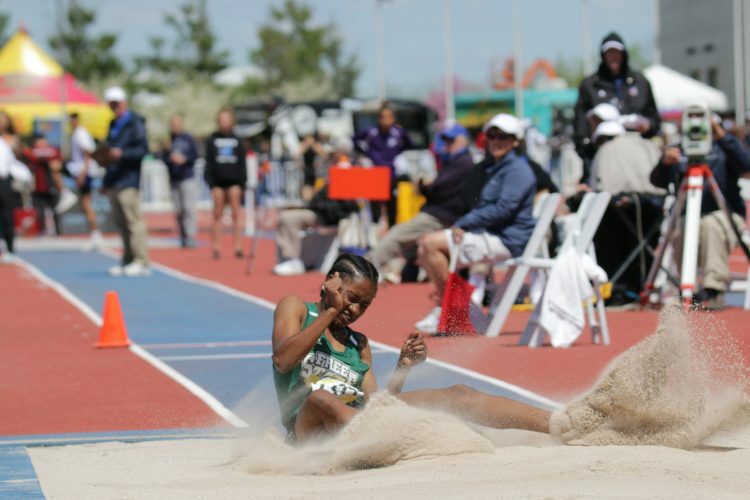 The girls track team has a strong chance of repeating as state champions. Seniors Evann Seratte, Hannah Stewart, Chisom Ajekwu, Krissy Howard, Josie Hickerson, Michaela Cordova and Layne Prescott are all back for one more year. Juniors Asjah Harris and Ella Stewart, along with sophomores Amaya Harris and Caroline Dunlap, all qualified for state last year, as well. On the boys side, LHS returns three state qualifiers in senior Bryce Tibke, junior Dre Bridges and sophomore Graham Hough. Lawrence will compete against Shawnee Heights and Free State at 3 p.m. Friday at FSHS. The girls soccer team will have a different look this year after graduating seven seniors from last year’s team that went 4-10-3. At the same time, the Lions have a good group of returners to help ease the transition for fourth-year coach Matthew McCune. Senior Anna Chieu is the team’s leading scorer, while seniors Leslie Ostronic and Banner Williams will anchor the defense. Sophomores Piper Lietch, Riley Unekis, I’yawa Brewer, Regan Turpin and Marley Sears will embrace larger roles this year. “We have the right amount of experience and skill returning in key positions and areas on the field,” McCune said. LHS will travel to Topeka at 6 p.m. Friday. The Lions will look to build off a strong showing from last year after claiming runner-up at the Sunflower League meet and notching fourth at the state meet. Emily Guo claimed a state title in the 100 breastroke last year. Seniors Jamie Abernathy, Madelyn Dean, Morgan Jones, Eden Kingery, Jillian Wilson and Brooke Wroten will also be key to Lawrence’s success this season. Junior Marian Frick won a league title in the 100 breaststroke last year. Lawrence will compete at the Emporia Invitational at 4 p.m. Thursday. Weather has made things difficult for the LHS boys tennis team to start the season. The Lions have 38 players out this year, but have not been outside much to see how the new players will do. Senior Cooper Wright and junior Kanak Masten netted ninth at the state meet last year as a doubles team. Senior Ryan Logan and sophomore Drew Dean are also key returners. 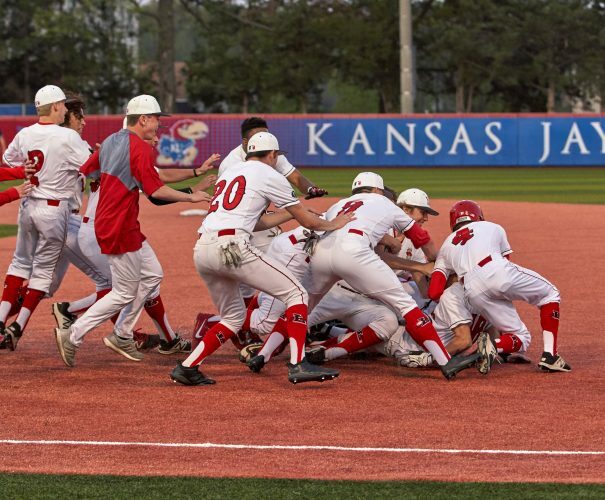 LHS will begin 2019 at 3 p.m. Tuesday at Emporia. Head coach Steve Rampy has just one returning golfer in his first year with the program. Senior Ross Brungardt, who also played football for Rampy in the fall, is the veteran after qualifying for the state meet last year. Rampy hopes his team continues to grow this spring and makes improvements this season. “The team will be young, as we are hoping to increase the number of golfers this year,” Rampy said. 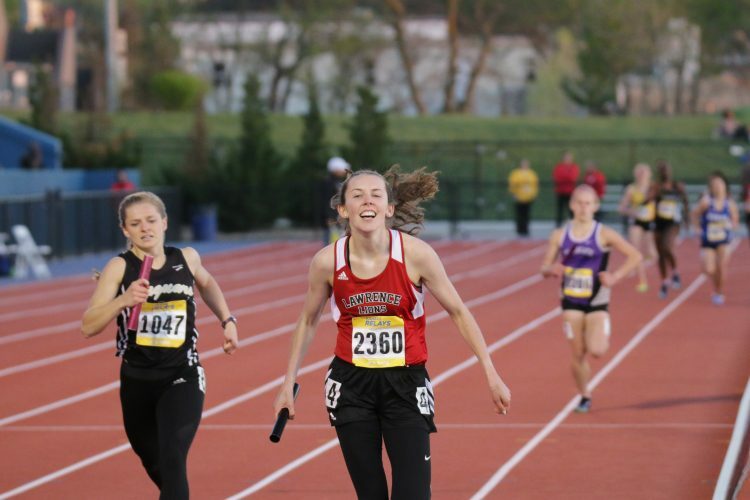 Lawrence will compete in a meet at 1 p.m. Monday at Lake Quivira Country Club.